Download Windows Store Games through IDM: The most pathetic designed, poor performing and slow as hell Windows 10 Store (Microsoft Store) has been forced on many Windows users. Though it got some of the great apps and games which you can’t download from anywhere else, But the performance the errors and all the speed issues makes Windows store a headache to use. Especially the Huge size apps like adobe Photoshop, or the games with over 2-3 GB file size would take hours to download on standard Windows store. This is what I have been facing for the last couple of months on my newly bought HP Spectre X360 Ultra-Notebook. There are tons of issues with each and every update that we received for Windows 10. 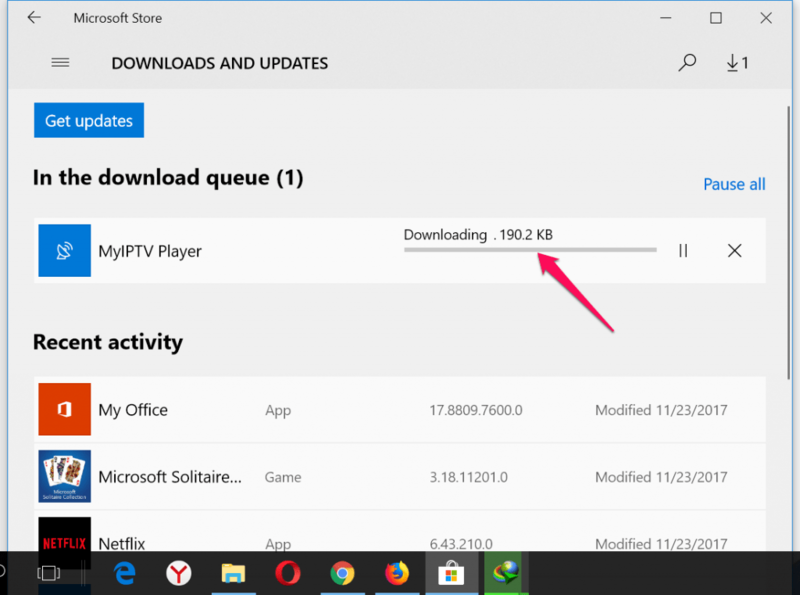 Despite using all the tips and tricks, I have come up with a working one, To download Windows Store Apps, Games Using third party IDM (Internet Download Manager). Because its speedy, reliable and vastly used all across internet. The new update of the store doesn’t Bug fix. Even the Pause and resume Option doesn’t work anymore. It actually start downloading the file of PC version (PC games), But if you Cancel the download or Pause it, it doesn’t work anymore. So we came up with this trick using IDM Downloader. The trick I am going to share here can be used on all previous version of Windows having this store, i.e Windows 8, Windows 8.1 and Windows 10. 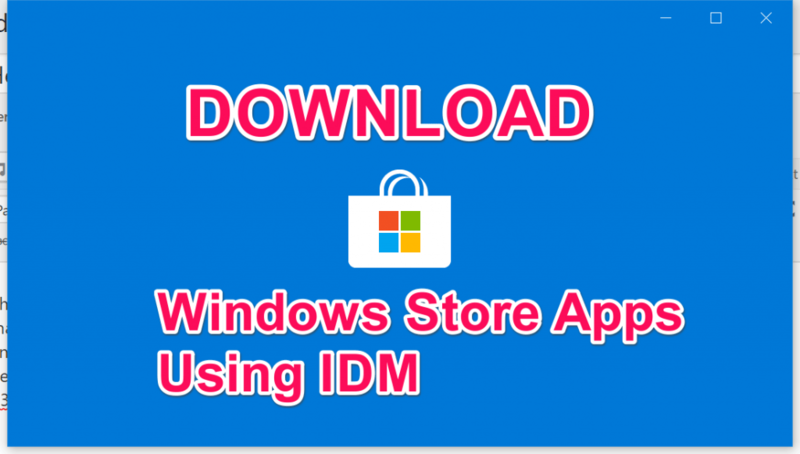 You can download all these Windows Store or Microsoft Store apps using IDM by following this guide below and get rid of all these time wasting steps. Downloading …. shows up for almost 2-3 minutes and sometimes it stuck here for ever in progress bar without showing any additional information. Somehow if it gets through this the download speed would not be above 10Kb/s to 100Kb/s. Now most of you might be thinking that you can grab the download link of the apps or download the games from Windows 10 Store directly using your IDM. By running Tasks > Run Site Grabber. The Answer is No you can’t. I tried it and it doesn’t work. The Windows Store or Microsoft Store has all the apps and games available in *.xap file extension as new uwp apps. So to do this task you need some tools. The best one here is a freeware named Fiddler. You can download it form link given below along with instructions. Now its time to Download and install the IDM (Internet Download Manager) on your PC, if its not downloaded yet. You can download the free trail version form here. Once you have download and installed it on your computer. You can simply follow these steps given below. Step 1: Open the Fiddler app and make some changes to these settings. 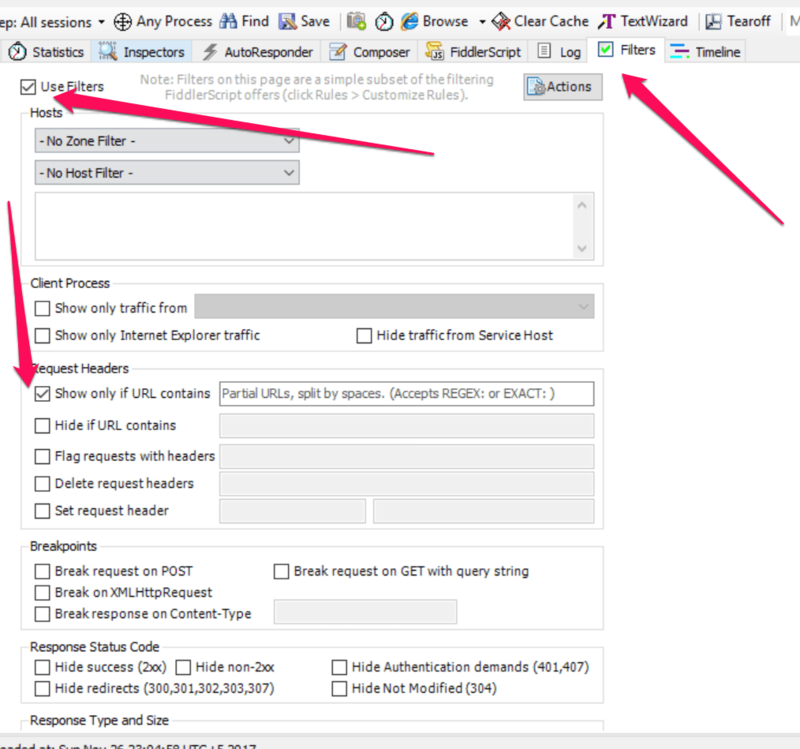 Step 2: On the main screen go to Filters > Tick the ” Use Filters” > also tick ” Show only if URL Contains”. Step 3: Once Done, Open the Windows 10 Store or Microsoft Store on your PC. Step 4: Go to the game or App you want to download. I have been struggling to download an IPTV player so i am using it as example. Step 5: Once you click Install on Microsoft Store. Open the Fiddler App again. Step 6: Now you can see lots of responses on Fiddler app as shown in the image below. Select the Value -1 links. 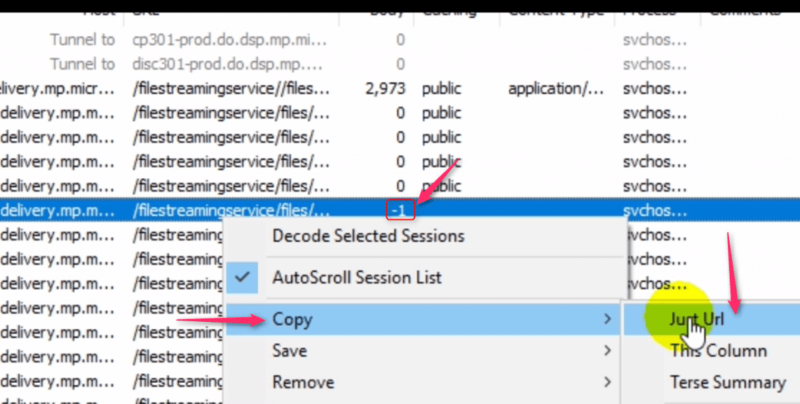 Step 7: Now Right click on that -1 value and Copy > Just URL from the menu as seen in images. 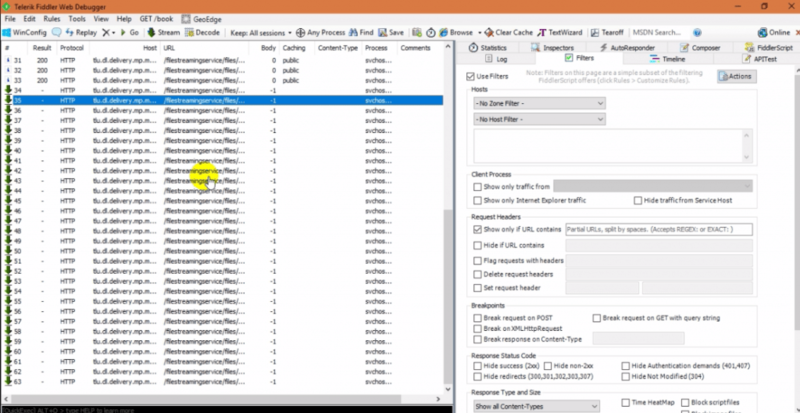 Step 8: Once done simply open the IDM as Appx files. Step 9: Add the URL in the Add Link menu, and click on Download. Download: Street Fighter IV Champions Edition for PC Windows 10. Internet Download Manager IDM will automatically starts downloading that app or game using its powerful downloading speeds. which is 100x better then the ordinary Windows Store downloading speed. Once done you can simply see the file downloaded in the download folder. The file would be in Xap extension and can be opened directly in Windows 10, 8 or 8.1 to start the setup process. If you liked this trick you can share it with your family and friends. Also make sure to subscribe to my site for more tips and tricks and info regarding latest happenings in the tech world. The same procedure can be done while downloading latest Microsoft Windows 10 Store Apps through Internet Download Manager by extracting XAP Files.